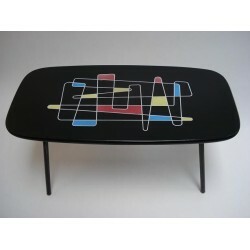 Vintage coffeetable with a nice 50's print in the colours red/blue/yellow. 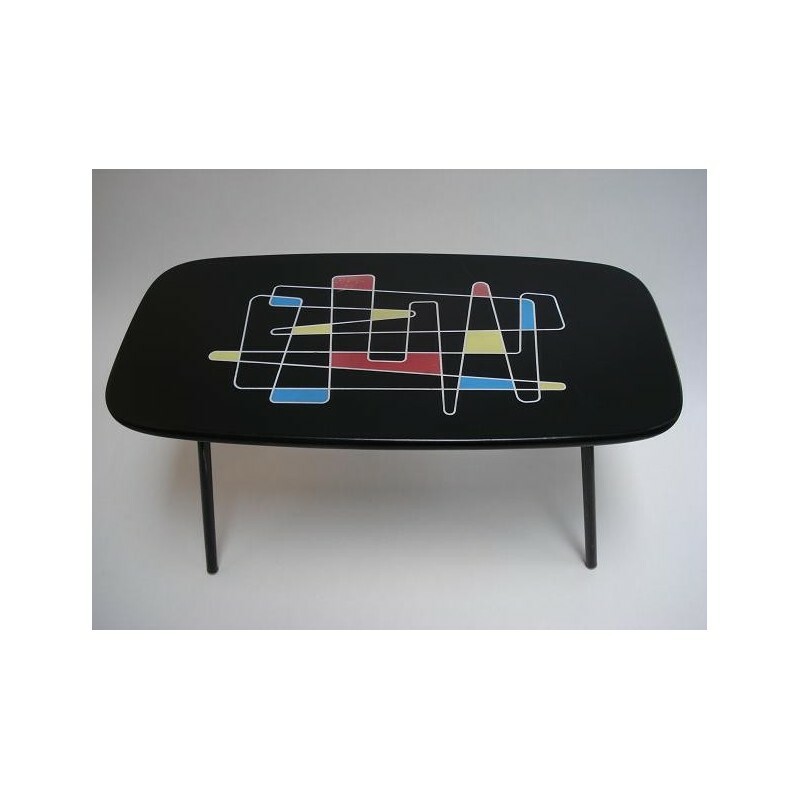 The table is in areasanoble condition, there are some scratches/ markes of use on the top. The dimension is 79,5 cm long, 39 cm high and 40 cm wide.